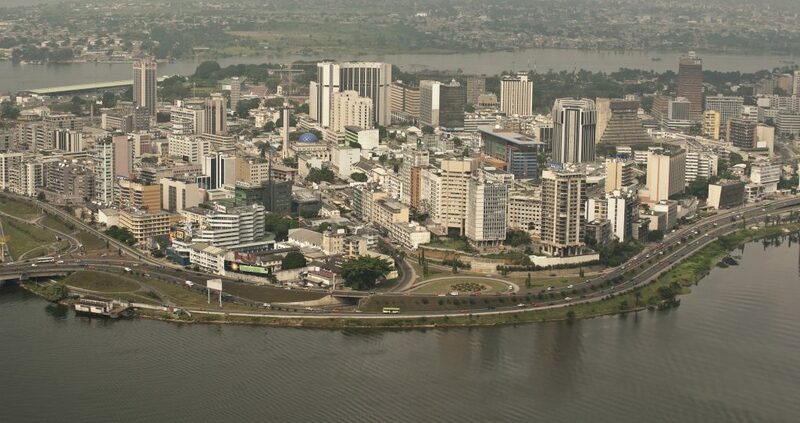 Axians, the VINCI Energies information and communication technologies brand, is helping to install the optical fibre backbone that will enable Côte d’Ivoire to accelerate the roll-out of Information and Communication Technologies (ICT) throughout the country. Axians is building the bulk of the symbolically-named cross-country “information superhighway” that this 7,000 km backbone (the nerve centre of a high-speed broadband network) represents. “It will connect remote villages with the rest of the country via information and communication technologies,” says Hicham Mghazli with pride. Telecommunications operators will install mobile telephone access points on the optical fibre installed by Axians and then roll out Internet and digital television services. Launched at the end of 2016, the Axians project covers two zones: the area between Abidjan, Oumé and San Pedro in the east; and farther west the area near Guiglo and the border with Liberia. Telecommunications operators will install mobile telephone access points and then roll out Internet and digital television along the fibre, “which is installed in loops to secure connection continuity,” says the Axians manager. Paradoxically, Africa’s delayed installation of infrastructure handicapped the development of fixed-line Internet service and fostered the popular mobile service that now puts the continent in a good position to leapfrog a stage of development and go directly to high-value-added mobile services. The Ivorian government has planned to connect all prefectures and sub-prefectures so as to set up electronic governance, which will enable connected citizens to remotely carry out administrative formalities such as responding to the census, paying taxes and energy and water bills and filing requests for building permits. Ivorians are also expected to be able to access e-healthcare services and e-training, which will be gradually rolled out. The goal of the public authorities is to connect healthcare and education facilities to the optical fibre network. Once the technical issues have been covered with the fibre roll-out, the issue of mobile user solvency remains. Observers agree that telecommunications operators and banks will have to invent new economic models to take account of wide disparities in the standard of living. The construction of pylons and antennas for mobile service will form the first phase of fibre operation, says Hicham Mghazli. “Following that, urban loops will be installed, from which telecommunications operators will be able to offer FTTH, in other words broadband Internet service to the home,” says the Axians manager – a high-quality connection that many European Internet users can still only dream of.